Thank you for the inspiration, my friend and for understanding so well. 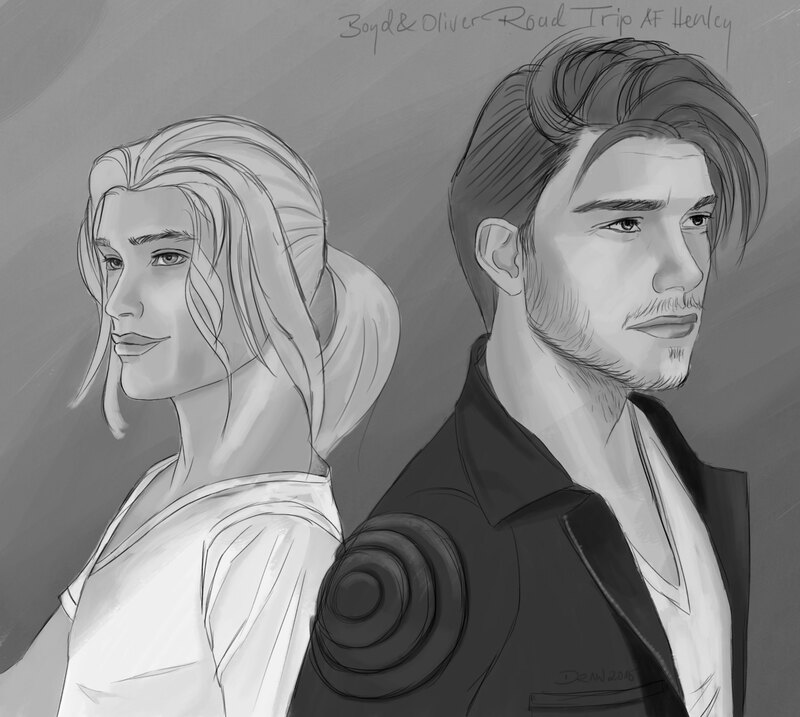 These are Boyd (left) and Oliver the main characters in AF Henley’s wonderful and exciting m/m romance novel Road Trip. Ah yes, the balloons! They appear in a very important and romantic scene in Road Trip. 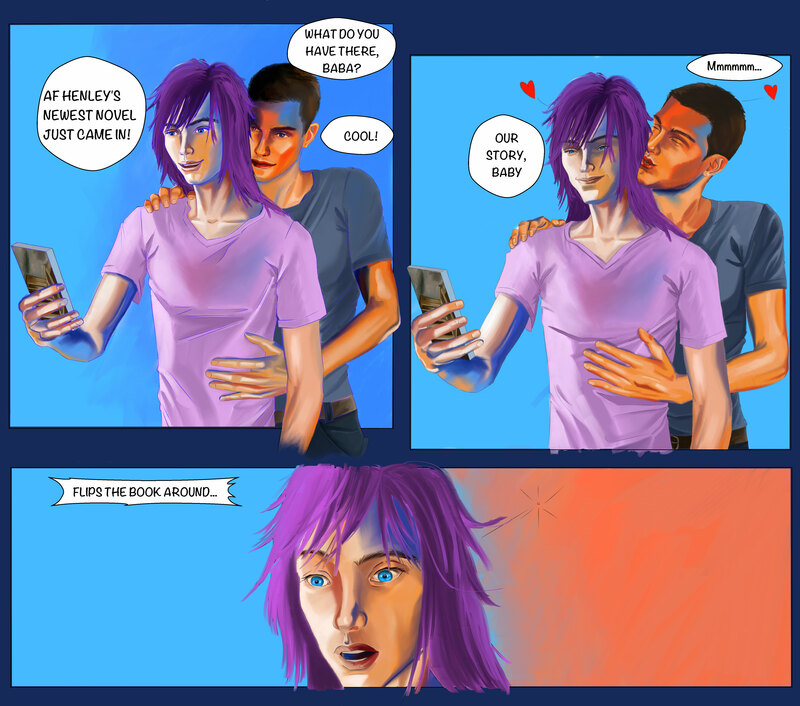 I so love the characters of Owen and Sebastian (purple hair) as they struggle to overcome personal issues and try to make their love work. Please visit these links o ind out more about AF Henley’s awesome work. You will find lots of free stories from him on y!Gallery but you need to be of legal age to create a free account there. 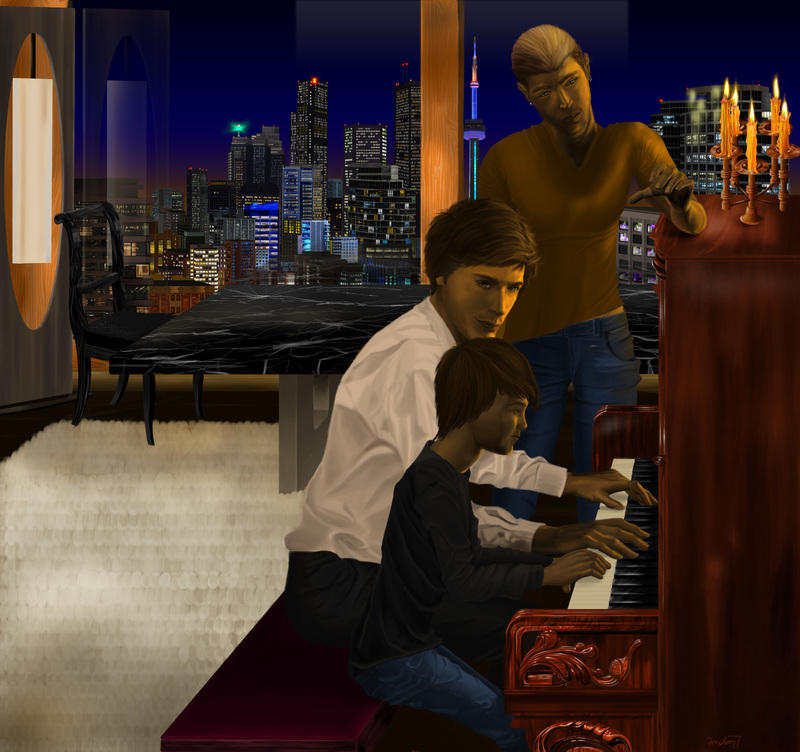 This piece shows a moment from A.F.Henley’s latest novel Sonata. 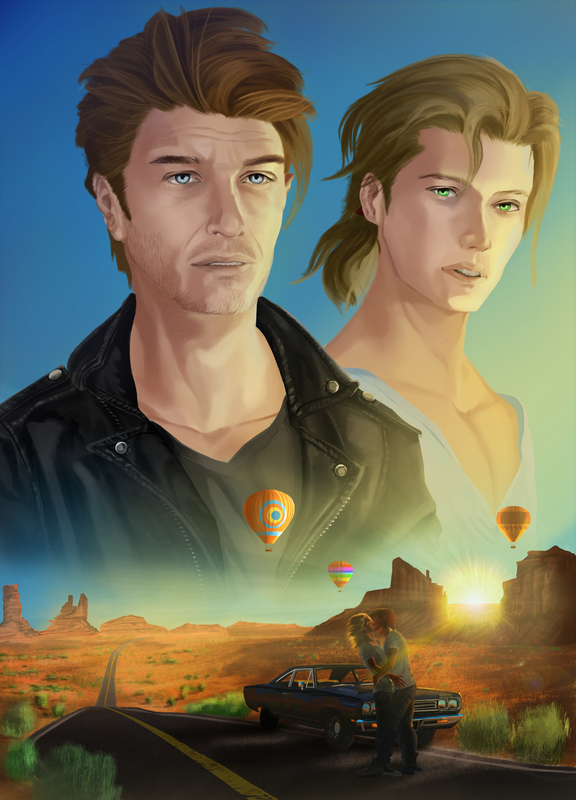 It is a wonderful, thoughtful and very touching story about fate bringing together again and again two men with very different lifes, one of them hiding a secret, terrifying him so much that he believes he can not trust anyone. The drawing shows Cole (front), a little boy suffering from Asperger’s Syndrome. Next to him on the bench is Ian with Jordan standing at the piano. The pic depicts a wonderful moment (one of many in the story) which also is a pivotal one in the story. y!Gallery is an 18+ site so you need to register but it is for free. Rory’s and Danny’s wedding. They are the main and supporting fictional characters in A.F. 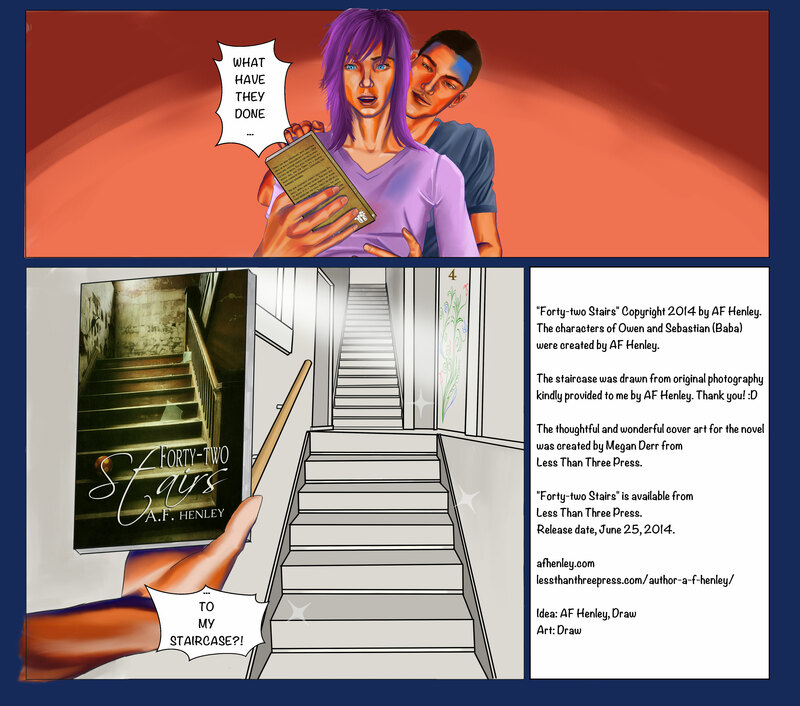 Henley’s (aka Freedom1001) novels “Fault Lines”, “Disaster Recovery” and the short story “On Solid Ground”. 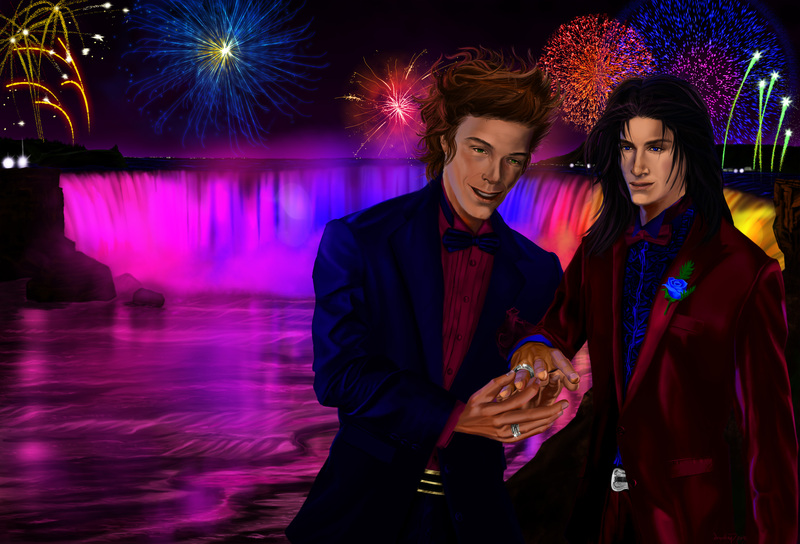 Free’s writing is as amazing as it is inspiring that’s why this drawing came into existence.